Love a Golden Rescue began in January 2001; at its foundation, it was a small group of volunteers who saw a need to help golden retrievers and golden retriever mixes in Central and Eastern Missouri and Central and Southern Illinois. That first year 50 dogs found forever homes. That was more than was anticipated, but we soon found that the "need" was larger than we initially thought. With everyone working together, the dogs received the necessary veterinary care, and lived in caring homes before moving into their forever homes. Adoption applications and home visits ensured that the forever families and the dogs were the right "fit." Now we are 14 years old, and have rescued more than 1,000 dogs, all due to the concerted effort of our volunteers. Love a Golden has rescued dogs with a wide variety of needs. We have taken in pregnant dogs who delivered a litter soon after intake. We have saved goldens who required major surgery immediately after we took them in. We find great homes for golden retrievers who have spent all their lives in a breeding facility; they quickly become beloved family members. Seeing the photos from the new families---as the dogs snuggle on the couch with their two-legged and four-legged brothers and sisters or as they romp on the beach during a vacation--- is why rescue is so important to us. Not only do we strive to rescue goldens who have special needs but we also reach out to save seniors (dogs who are 9 years or older). Seniors have such a special place in Love a Golden's heart, and our Senior Life program recognizes the incredible families who adopt senior goldens. Our mission is to help out all goldens who are in need of a home, regardless of their age or medical condition. Many families who adopt one of our dogs come to us for a 2nd dog, since caring for two dogs is just as easy as caring for one. 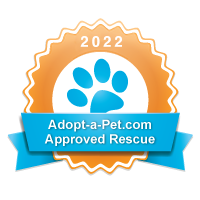 The families also discover that the rewards of adopting a rescued golden and giving it a forever home are immeasurable. We’d also welcome your help in other ways including becoming one our special "Foster Buddies." To find out how click HERE! This Page was last updated on September 5, 2018.